If you are interested in staying here, you will need to send a message to the host Alois indicating your interest. For a formal booking to ensue, Alois will need to send you an "invitation to stay", which you can then accept. 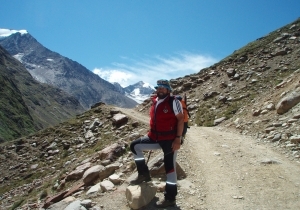 great outdoor fun in summer time for hiking, mountaineering, biking, wildwatersports, etc.